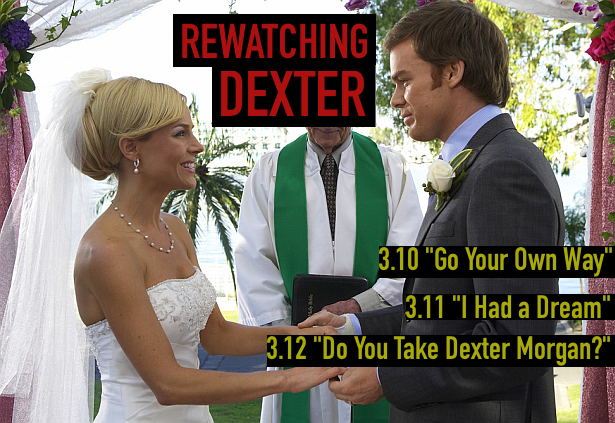 Dexter Daily: Rewatching Dexter - 3.10 "Go Your Own Way", 3.11 "I Had a Dream", 3.12 "Do You Take Dexter Morgan?" Rewatching Dexter - 3.10 "Go Your Own Way", 3.11 "I Had a Dream", 3.12 "Do You Take Dexter Morgan?" Rewatching Dexter by DexterDaily. A look back at the past seasons of 'Dexter' and our favorite serial killer's victims. Today, we're going to remember the final three episodes of the third season: 3.10 "Go Your Own Way", 3.11 "I Had a Dream", 3.12 "Do You Take Dexter Morgan?". Hit the 'read more' button for more! Dexter feels like he's making a deal with the devil when he feigns civility around Miguel after his duplicitous ways. Dexter finds himself in a series of chess-like moves against his former friend, all while hoping that Miguel doesn't get the upper hand on him. 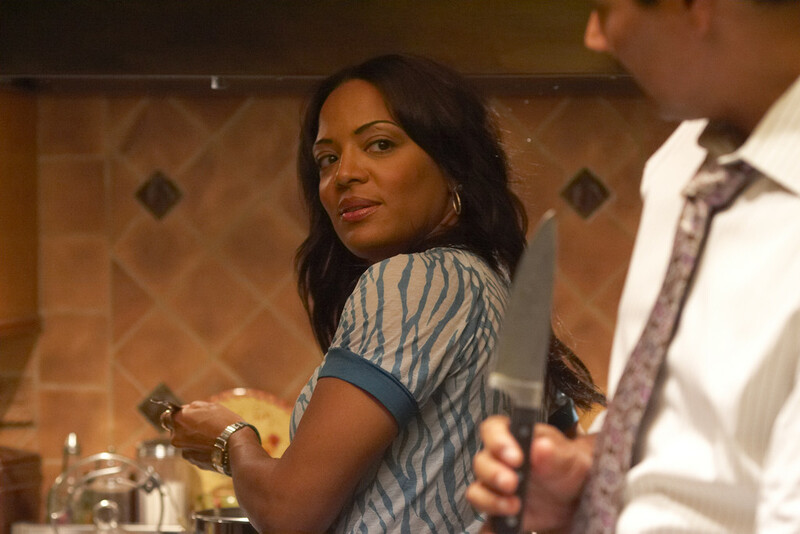 Meanwhile, Dexter watches helplessly as Miguel draws Rita closer through a wonderful wedding gift. Debra, now back with Anton after his close call with the Skinner, wonders if her relationship with Anton is worth putting her career in jeopardy. After all, is it smart for everyone to know that she is dating a former confidential informant? While preparing for his big wedding day, Dexter has to figure out a way to remove Miguel from his life for good. But how does Dexter manage to do this when Miguel is not only a highly placed D.A., but also his Best Man? Rita has troubles of her own, when Syl reveals that Miguel has been seeing one of his old flames. Meanwhile, Debra finds a new clue that brings her even closer to catching the Skinner. Dexter's victim: Miguel Prado. Strangled to death. No blood taken. Season 3 finale. 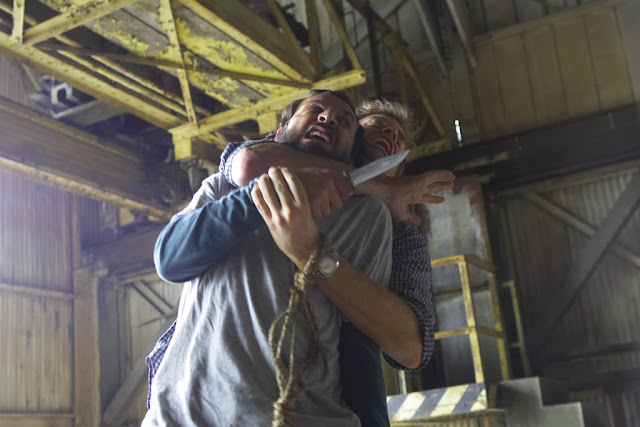 With Miguel out of the picture, Dexter's focus shifts to calming his emotionally unstable brother, Ramon. Upon easing Ramon's concerns, Dexter can finally breathe again. All that stands before him now is his wedding with Rita... until he's met with yet another deadly surprise. Meanwhile, Debra's informed by Batista that she is going to receive her Detective's shield, but is instantly blindsided with information that could potentially derail her promotion. Dexter's victim: George King (The Skinner). Neck snapped. No blood taken. 3.12 "Do You Take Dexter Morgan? ": Original Air Date: December 14, 2008.